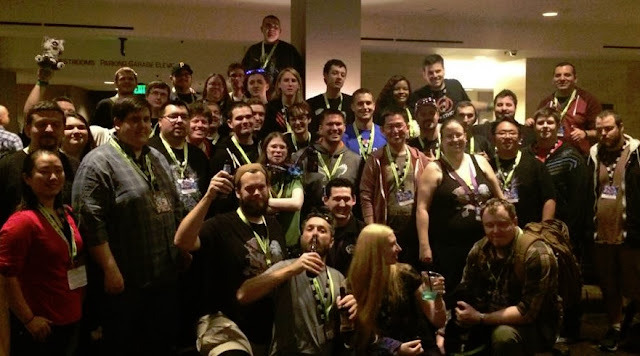 Planning is underway for the Hunter Party at Blizzcon this year. Come and hang out with your fellow Hunters. We had a lot of fun and a lot of booze last year, should be even better this year. If you're interested in coming, you don't even have to have blizzcon tickets, you'll get to see just as many cool things by just hanging out at the Hilton bar all weekend! Be sure to sign up on this here spreadsheet, and if you have the means, through in a few bucks on our GoFundMe site. Funders will get first shot at swag, but hopefully we'll have enough for everyone. I'm looking forward to seeing/meeting y'all!